AGM shall mean Annual General Meeting. 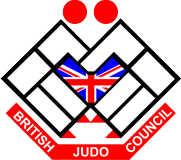 BJC shall mean British Judo Council. HQC shall mean the Headquarters Committee of the British Judo Council. Technical Committee shall mean the President and his appointed advisors. A Member shall mean a current License Holder of the British Judo Council. General Meeting shall mean either an Annual General Meeting or Extraordinary General Meeting. Authority shall mean any agency approved by the BJC either an Area, Region or Committee. The Bye-Laws of the BJC are established so long as nothing contained therein shall be inconsistent with or repeal anything contained in the Memorandum or Articles of Association of the BJC. 1. The BJC is established to promote and encourage Judo and Budo in the manner prescribed in the Memorandum and Articles of Association of the BJC. 2. A Senior Member is a person who is sixteen years of age or over who has been sponsored by a licensed Dan Grade of the BJC, and accepted into Membership after having completed the approved application form and duly submitted same to the Head Office of the BJC. The relevant Membership fee shall accompany each application form. 3. A Junior Member is a person who is fifteen years of age or under, who has been sponsored by a licensed Dan Grade of the BJC and accepted into Membership, whose application form has been counter-signed by their parent, Legal Guardian and registered Dan Grade of the BJC, and has submitted the application form to the Head Office of the BJC. The relevant Membership fee shall accompany each application form. 4. Upon receipt of the completed application form with the correct Membership fee, the Secretary of the BJC shall issue a licence of the BJC to the applicant, provided that such application is approved and accepted, showing the date for renewal of the said licence, subject to Bye-Law 24. 5. An Affiliate Member is a Member of an organisation that has affiliated as a body to the BJC, who has submitted the application form for affiliate Membership, together with the relevant affiliate Membership fee to the Head Office of the BJC. Such application form must be counter-signed by an approved officer of the Affiliate Body. 6. Upon receipt of the completed application form with the correct Membership fee, the Secretary of the BJC shall issue an Affiliate Licence Certificate of the BJC to the applicant, provided that such application is approved and accepted, showing the date for renewal of the said licence. 7. An Associate Member is a Member sixteen years or over, who does not wish to participate in the physical activities promoted and controlled by the BJC, but possibly desires to support the BJC in other ways. Has achieved a recognised qualification of the BJC as prescribed by the Technical Committee of the BJC. Evidence of the qualification must accompany the application form for Membership, and be counter-signed by a registered Dan Grade of the BJC. The relevant fee shall accompany application for Associate Membership. An Associate Member is able to achieve a BJC Time Keeper and Recorder qualification. 8. Application for renewal of a Members licence must be received at the Head Office of the BJC by the date of expiry shown in the licence. a. The issue of a licence to a Member shall bind that Member to uphold The Memorandum and Articles of Association of the BJC and abide by the Bye-Laws of the BJC. 9. A Member of the BJC not forwarding their application for licence renewal to the Head Office of the BJC directly, or through their Club “multiple renewal” facility by the date shown in the licence will be deemed to have lapsed Membership of the BJC. All benefits derived from holding a current licence of the BJC will cease on the date of expiry. 10. If within sixty days from the date of expiry of the licence the lapsed Member forwards the appropriate Membership fee, the licence shall be renewed but will be dated from the date of expiry. 11. Sixty-one days following the date of expiry of a licence, the lapsed Members name shall be removed from the Register of Members, and any future application shall be treated as a new application for Membership. a. Any Seniority of grade will be forfeit at the discretion of the Technical Committee of the BJC. 12. A current licence holder of the BJC shall be entitled to receive tuition, attend courses, seminars, gradings and be graded; enter championships or tournaments of the BJC, without let or hindrance save that only those Members holding a Senior licence will be able to attend or vote at any meeting of the BJC. 13. A current Affiliate Licence Holder of the BJC shall be entitled to all benefits set out in Bye-law 12. Save that he/she will not be entitled to be graded, receive a BJC award/qualification, represent the BJC in any form, attend or vote at any meeting of the BJC. 14. An Associate Member of the BJC shall be permitted to receive tuition relevant to the qualifications set out in Bye-law 7. Attend courses, seminars, gradings, championships, tournaments, and be qualified as per Bye-law 7. They will not be entitled to attend or vote at any meeting of the BJC, nor be awarded a Judo Grade unless they are a current full Member of the BJC. 15. The privileges of Membership are not transferable. 16. The HQC at their discretion reserve the right to reject application of Membership or renewal of Membership subject to Bye-Law 64. Such rejected applications will be subject to Bye Law 24. 17. Head Office shall not grant any application for renewal of Membership or application for new Membership by a Member who has previously resigned Membership of the BJC, prior to submitting such applications to the HQC and the Technical Committee, for their consideration. At all times the licence of the BJC shall remain the property of the BJC and must be returned to the Head Office of the BJC upon resignation or cessation of Membership, or by request of the Secretary of the BJC. 18. A Member Club is one that is incorporated or unincorporated and has duly completed the application form for Club Membership in duplicate and submitted same to the Head Office of the BJC together with the appropriate fee. 19. On acceptance of an application for Club Membership the Secretary of the BJC shall issue the applicant Club a Certificate of Membership, signed by the Secretary of the BJC and by the President of the BJC. 20. The issue of the Certificate of Club Membership shall bind the Member Club to uphold the Memorandum and Articles of Association, and the Bye-Laws of the BJC. 21. The privileges of a Member Club are not transferable. 22. A Member Club not submitting the Annual Subscription Fee by the last day of January in a year, shall be deemed to have ceased Membership of the BJC. 23. A Member Club may have Membership of the BJC refused or cancelled at the discretion of the HQC, subject to Bye-Law 64. 24. Any application being refused by the HQC of the BJC, the Secretary of the BJC shall refund the submitted fee in full. 25. Membership Fees shall be set by the HQC of the BJC subject to Bye-Law 27 of these presents. 26. A Junior Member on reaching the age of 16 shall be entitled to all benefits associated with a Senior Licence but not required to pay the Senior Membership Fee until the expiration of their current licence. 27. The fixing of the rate for Membership and renewal of Membership Fees shall be by application of the HQC to the AGM of the BJC. Such application is to be lodged within the prescribed period and by special resolution to the AGM. 28. A Member Club submitting a multiple application for new or renewal of Membership may deduct a percentage discount, the rate of which shall from time to time be decided by the HQC. 29. Insurance Fees are not subject to discount. 30. Once you have paid your membership fee you will be automatically covered under the BJC insurance policy. 31. The HQC at its discretion may alter or amend the Insurance Broker, Agent or Authority provided nothing within that alteration or amendment shall prejudice the schedule of benefits applicable to a Member of the BJC. 32. A Member shall be informed of the schedule and scale of benefits by the Head Office of the BJC provided application for such is made in writing to the Secretary of the BJC. 33. Benefit may differ for that of a Member of sixteen years of age and over, than that of a Junior Member fifteen years of age and under. However the scale of benefit is increased to that of a Senior Member when a Junior Member attains the age of sixteen years. 34. Neither part nor whole of the Insurance Fee is refundable nor is any part of the Insurance Fee subject to discount. 35. Claims for Insurance are to be made in the manner prescribed and within the stipulated period. 37. An application for the formation of an Area of the BJC will be by written application to the Secretary of the BJC, who will lay the application before the HQC. They shall inform those interested parties whom the HQC deem necessary, and shall convene an assembly to decide on the issue. Such assembly will be chaired by a Member of the HQC, or by such person as they may nominate. Each applicant shall have a right to be heard at such an assembly, whether it is in person or by written testimony. 38. Each Area shall hold an AGM once in each year. Upon inauguration of an Area, they shall hold an AGM no later than eighteen months from the date of commencing activities. 39. An Area not holding an AGM within the prescribed period of time will be deemed to be, a Non Constituted Area, and as such not be entitled to the benefits of a Constituted Area. 40. Each Area shall forward to the BJC a copy of the Constitution of the Area. 41. At each AGM of an Area there shall be elected an executive committee comprising of, Area Representative/Chairman, Assistant Area Representative/ Secretary, and a Treasurer. There may also be elected such Members, as considered necessary that together with the elected Executive Committee shall form the Area Committee. All elected by the democratic process.In the event of no Treasurer being elected the executive shall have the authority to appoint a Treasurer. 42. Entry to an Area AGM shall be restricted to Senior License holders of the BJC generally resident within the accepted boundaries of the Area. The HQC of the BJC shall have the authority to delegate a non-voting observer to attend any Area AGM. 43. Each licence holder shall be entitled to one vote at an AGM of an Area subject to Bye-Law 43. A Senior Licence Holder may only vote at the Area AGM of which they are considered to be Member. 44. An Area AGM of the BJC may propose Resolutions to the AGM of the BJC provided that the democratic process agrees such resolutions, with the required majority. 45. An Area AGM of the BJC may propose Recommendations to the AGM of the BJC for consideration by the Technical Committee of the BJC as they deem fit, provided that such recommendations are agreed with the required majority. 46. An Area AGM may nominate to the AGM of the BJC one or two persons as candidates for election to the HQC. All nominees must be a current BJC Senior Licence Holder and have indicated a willingness to be nominated. 47. Resolutions, Nominations and Recommendations shall be effected by sending to the Company Secretary by the 30th day of April in each year, the Minutes of the Annual General Meeting showing, “That the Resolutions, Nominations and Recommendations have been democratically approved and have been recorded in the minutes of the meeting”. 48. Resolutions, Nominations and Recommendations must be forwarded within the text of the submitted minutes of the Area AGM. No other instrument of notification will be accepted. a. An Area must inform the Head Office of the BJC in writing the time, date, business, and venue of an Area AGM with at least thirty days notice. b. An Area must forward to the Head Office of the BJC the full minutes of the Area AGM within 30 days of the date of the AGM. 50. The Disciplinary Committee of an Area shall be the Area Committee. 51. Each Member Club of an Area shall have the right to send an observer to Committee Meetings of the Area if they do not have representation on that Committee. Such observers shall not have the right of voting at such meetings. 52. An Area Committee in consultation and agreement with the Technical Officer of the Area shall arrange Championships, Gradings and Courses as deemed necessary. Such Championships, Gradings and Courses to be conducted to the orthodox traditions of Judo, and shall include the regulations as laid down by the Technical Committee of the BJC. 53. Gradings may only be conducted by registered Dan Grades of the BJC subject to the separate provision of Bye-Law 58. 54. No Primary Member (9 years of age or under) shall be graded beyond the grade of Primary 3 brown stripes save at the absolute discretion of the President of the BJC. No Junior Member (10 Years to 15 Years of age) shall be graded at club level beyond the grade of 3rd Kyu. No Senior Member (age 16 years and over) shall be graded at club level beyond the grade of 3rd Kyu. 55. An Area Grading may award grades for Junior Members up to and including 3 black stripes, and for Senior Members up to and including 1st Kyu. 56. Non-Constituted Areas may not hold or conduct Area Gradings. Non Constituted Areas are those Areas who do not comply with Bye-Laws, 39, 41, 42, 50, 50a, and administer the affairs of the Area contrary to the democratic principle of these presents. 57. The President of the BJC shall nominate such persons as from time to time may officiate at Area Grading to recommend to him the promotion of candidates beyond the level of 1st Kyu. Recommendations are to be accompanied by all the relevant documentation of the Grading i.e. Pool sheets, Kata assessment and theory assessment. 58. The Grading of Members to the level of 1st. Dan and upwards shall be carried out in accordance with the written procedure for Dan Grading, a summary of which is available on request from head office. All Dan Grading is subject to confirmation by the President. 59. Only Licence Holders of the BJC may participate in Gradings of the BJC. Any person in Membership of an alternate organisation must apply for full Membership of the BJC prior to the Grading taking place, evidence of previous Grades shall be provided and sent to the Head Office of the BJC for registration. 60. The practical instruction of techniques of Judo should only be undertaken by approved instructors of the BJC who must hold either, a Dan Grade of the BJC, or an approved Coaching or Teaching qualification of the BJC. 61. The HQC shall be the Disciplinary Committee of the BJC. The HQC have the authority to appoint an investigative disciplinary committee, which shall report back to the HQC on its findings. 62. HQC shall consider all complaints to the Disciplinary Committee that are submitted in the manner prescribed in the Disciplinary Code of these Bye-Laws. 63. Any person or organisation of the BJC has the right of appeal to the President of the BJC on any disciplinary action or expulsion administered by the HQC. 64. If in the OPINION of the HQC an act by any licence Holder or Authority of the BJC should be thought to bring the BJC into disrepute, the HQC shall have the authority to expel such licence Holder or Authority from Membership of the BJC, subject to Bye-Law 64. 65. The HQC shall also have the authority to suspend the licence of a Member of the BJC for any such period that they feel appropriate pending the outcome of any disciplinary procedure, such period of suspension to be noted at the Head Office of the BJC. 66. Expulsion from Membership of the BJC will invalidate any awarded Grade or Technical qualification of the BJC, and disbar the expelled Member from Instructing at a BJC Club. 67. The use of the BJC Logo is restricted to Constituted Areas and Member Clubs, such Constituted Areas and Member Clubs having paid the appropriate Registration Fee. The registration fee to be decided from time to time as is necessary by the HQC of the BJC. 68. Proof copy of the intended use in each instance must be submitted to, and approved by the HQC of the BJC. 69. Upon default of a Constituted Area or Member Club, the use of the BJC Logo is immediately cancelled and the said Constituted Area or Member Club will be in breach of copyright. 71. To have a record of Dan Grades within the Area. 72. To forward to the Head Office a copy of the Notice, Agenda and Minutes of the AGM. 73. To submit a written annual report which has been approved by the AGM of the Area, to the BJC. 74. To hold Area Gradings, minimum of one per annum, (In consultation and agreement with the Technical Officer of the area). 75. To hold an Area Championship, (In consultation and agreement with the Technical Officer of the Area). 76. To hold three committee meetings per year. 77. To ensure that all Area events comply with BJC regulations regarding conduct and etiquette. 78. Is appointed by the President of the Technical Committee of the BJC and need not necessarily be the Senior Grade residing in the Area. 79. Provide for standard BJC Kata instruction. 80. Provide for Referee instruction/training and qualifying. 81. Provide for a coaching programme. 82. Ensure and maintain the Standards of BJC Etiquette. 83. This code shall be applicable to all Members of the BJC. a. Could lead the BJC or the name and/or reputation of the BJC into disrepute. b. Behave in any way contrary to the interests of the BJC or in any way contrary to its aims. c. Behave in anyway so as to cause or induce any other person or persons to behave in breach of this disciplinary code. d. Commit any criminal offence whilst being involved in any way in the practice, officiating, administration, teaching or spectating of judo or any activity conducted under the auspices of the BJC. (iii) Behave in any way, which, in the view of the Headquarters committee of The B.J.C. is contrary to the spirit of BJC Judo. 86. The Chair of the Headquarters Committee shall acknowledge the complaint within 14 days of receipt and advise the complainant as to whom the complain has been referred. 87. The HQC shall have the authority to initiate disciplinary proceedings of its own motion against any Member of the BJC. 88. The Disciplinary Committee of the HQC (which shall be constituted as desired by the HQC) shall have the authority to require further particulars of any complaint made, and to require a response to such a request within a defined time limit. The HQC shall have the authority to dismiss any complaint where they consider that the complainant is delaying matters unreasonably. 89. The person to whom the complaint has been referred shall inform the person against whom the complaint has been made of the nature and extent of the complaint, as soon as practicable after receipt of the complaint and shall invite that person to comment on the complaint or give their explanation of events. The Disciplinary Committee shall have the authority to require such response to be given within a specified time limit. 90. The Disciplinary Committee shall have the authority to require and receive such other evidence, in writing, as is available or as is considered desirable by the Committee. 91. Once all such written evidence has been collected, the Disciplinary Committee shall consider whether there is a “case to be answered”. They shall then report to the HQC with their recommendations, which may or may not be upheld by the HQC. 92. If there is no case to answer, then the parties shall be informed as soon as is practicable. a. The person may admit responsibility and then either in person before the HQC or in writing, seek to explain their actions. b. The person may deny responsibility and ask the HQC to consider the matter on all the available written evidence. In this instance the HQC shall have the authority to receive additional written evidence from the complainant, the person against whom the complaint has been made, or any other person before they consider the complaint. c. The person may deny responsibility and ask to appear in person at the Disciplinary Committee, where the Committee shall have a hearing of the evidence in the complaint, save where the person against whom the complaint is made agrees that certain written evidence may be considered. 94. The HQC when finalising a decision on any disciplinary matter referred to it, shall inform all persons or organisations concerned with the complaint of their findings and/or what action or actions will be undertaken. Such decision or decisions shall be by written reply. The decisions of the HQC are subject to Bye Law 64. 95. The HQC shall have the authority to place any limit as they deem necessary on the person’s activities within the BJC as a means of dealing with the substantiated complaint. This shall include the authority to suspend or withdraw the person’s licence, either temporarily or permanently subject to Bye-Law 64. 96. An appeal from the decision of the HQC shall lie to the President. This right of appeal is only open to the person against whom the complaint has been made and the Presidents decision shall be final. 97. The HQC shall have the authority to suspend consideration of any complaint to await the outcome of a court case or any other hearing. 98. The HQC shall have the right to publish details of disciplinary action taken, in the Magazine or Newsletter. The HQC shall have the authority to notify any Judo or Martial Art organisation, of disciplinary action taken against a License Holder, Affiliate Member, or Associate Member of the BJC, as they deem fit. 99. Weight categories shall be the same as those designated for National events. Categories can be amalgamated as considered necessary by the organisers. In instances of Team awards being made, Members shall represent either their parent club or their parent area. 100. Any matters not covered in these Bye-Laws to be determined from time to time by the HQC. a. Such alterations or resolutions do not conflict with the Memorandum or Articles of Association of the BJC. b. No amendment or resolution shall affect such Bye-Laws that are subject to the direct authority of the Technical Committee of the BJC.